Since 1939, the Santa Fe Animal Shelter has been dedicated to its mission: support animals, save lives, spread compassion. We are northern New Mexico’s only open-admission, no-kill shelter. Our Live Release Rate is currently at 94.2 percent. As a private, not-for-profit 501(c)(3) organization, we receive nearly all of our funding from private donors in our community and beyond. Santa Fe Animal Shelter focuses on spay/neuter programs to control overpopulation, creative adoption efforts to bring pets to loving families and dozens of programs providing support for marginalized animals. 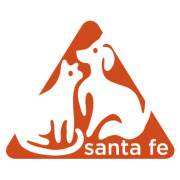 Santa Fe Animal Shelter accepts donations. Donate Now. Would you recommend Santa Fe Animal Shelter?